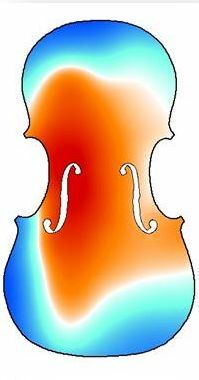 Where M is the weight of the plates in grams and #2 y #5 the frequencies of the 2nd and 5th modes of resonance of the free plates. 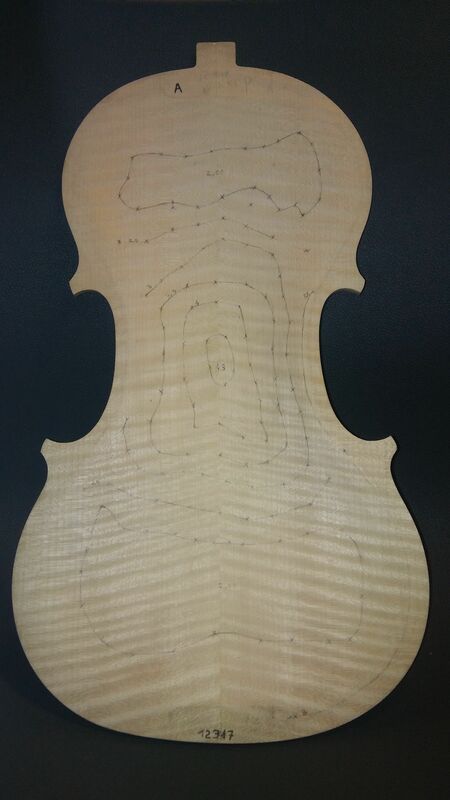 The mass and the frequency were carefully controlled in order to obtain the desired Z values for the tops. 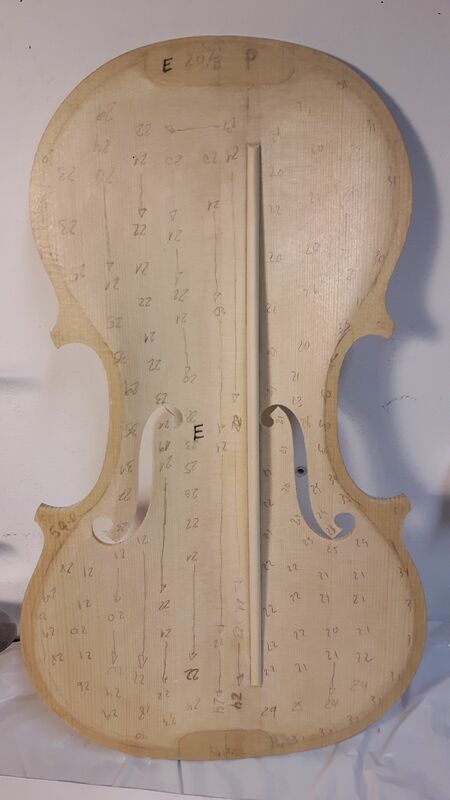 The numbers on the last row are the definite result for the soundboard with the finished bass bar. 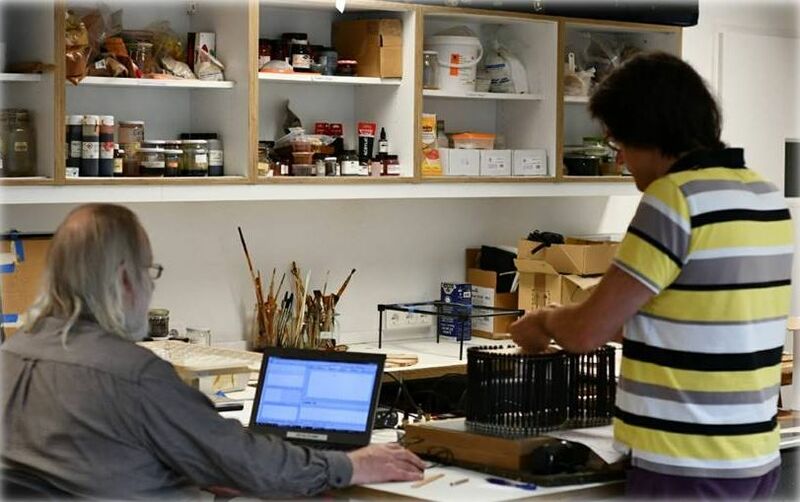 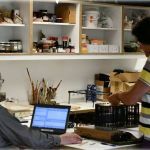 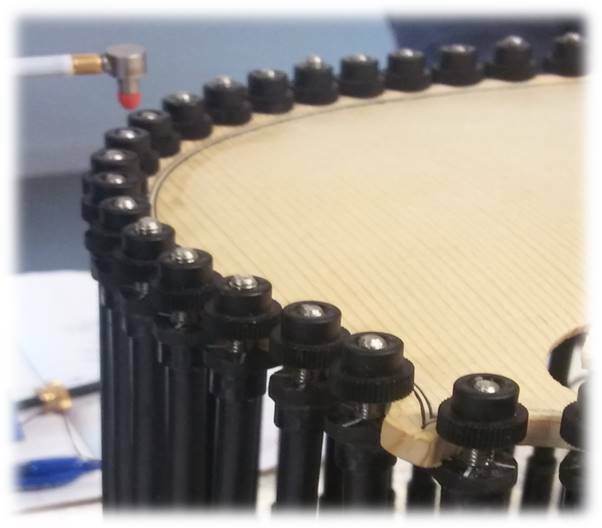 All the plates and bass-bars were graduated, measured and the Modal Analysis measurements were done in all the plates with different boundary conditions. 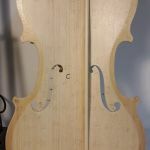 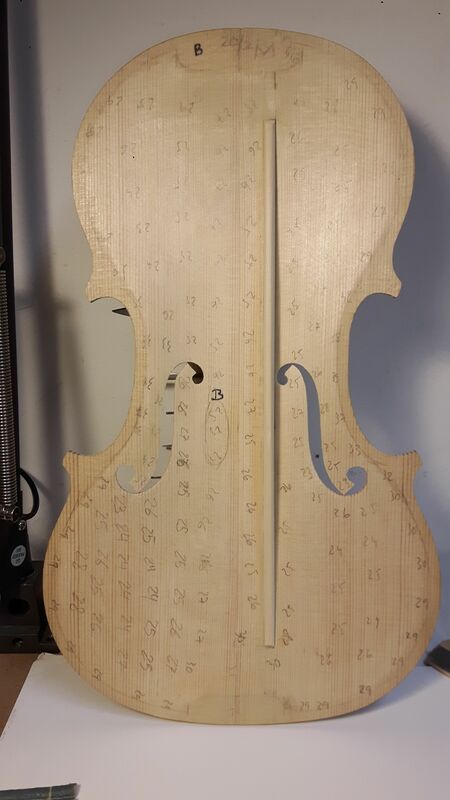 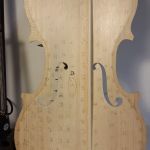 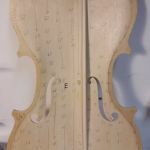 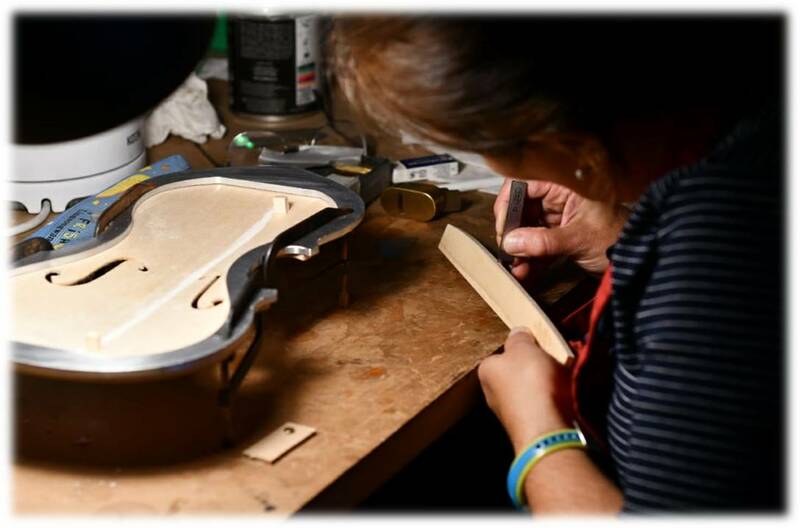 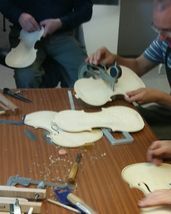 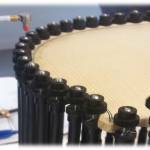 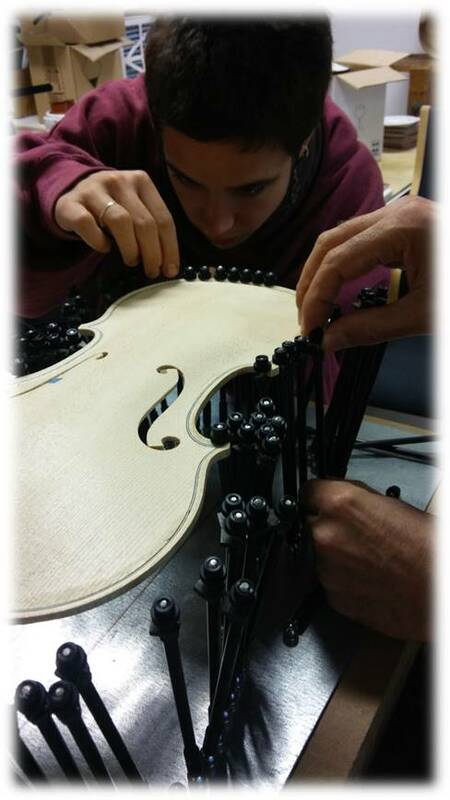 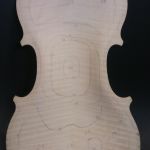 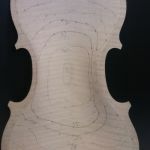 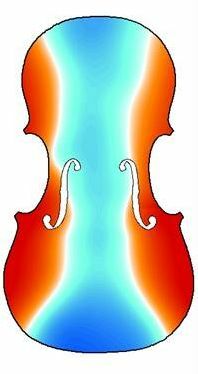 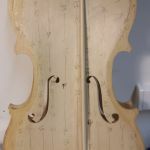 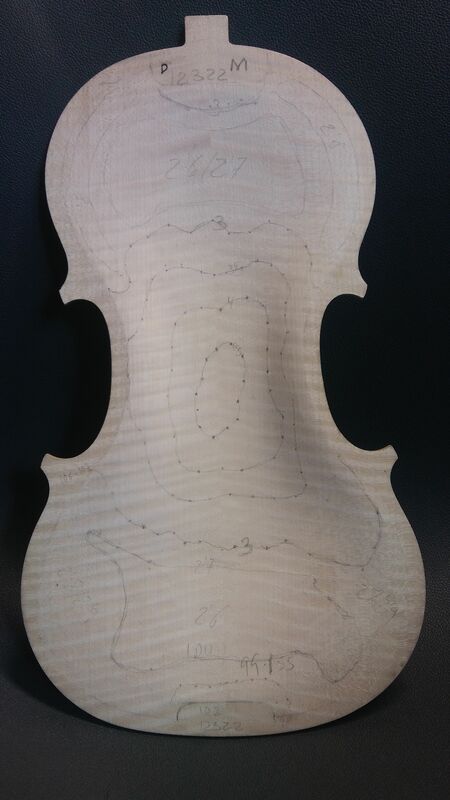 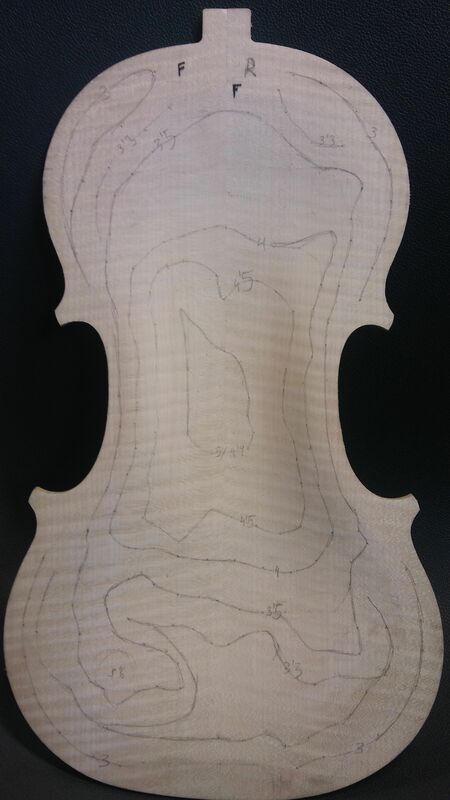 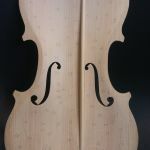 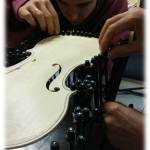 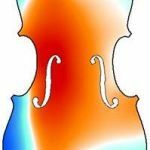 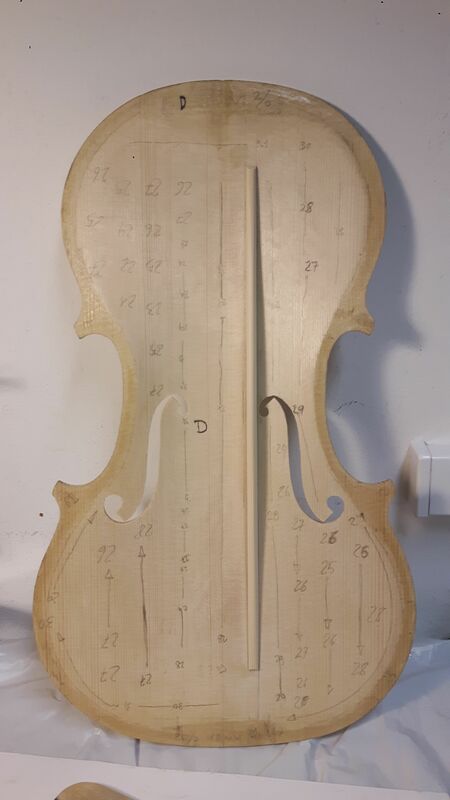 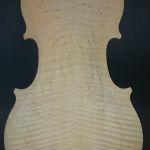 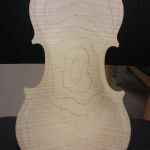 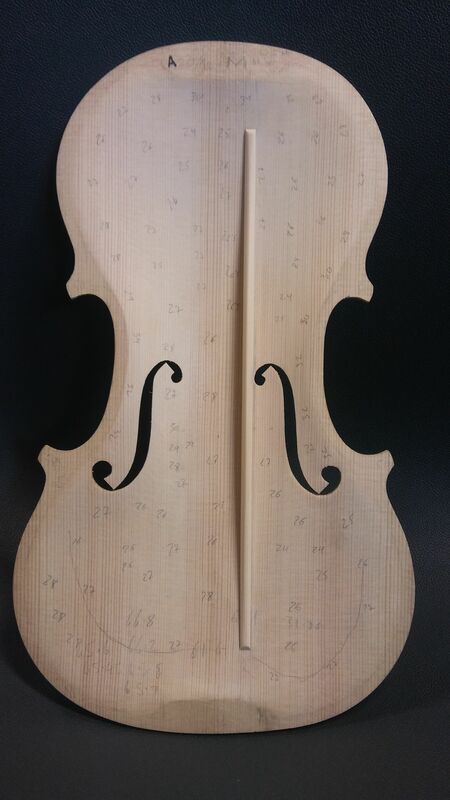 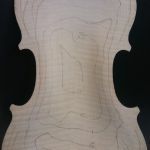 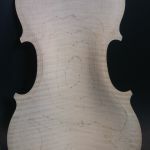 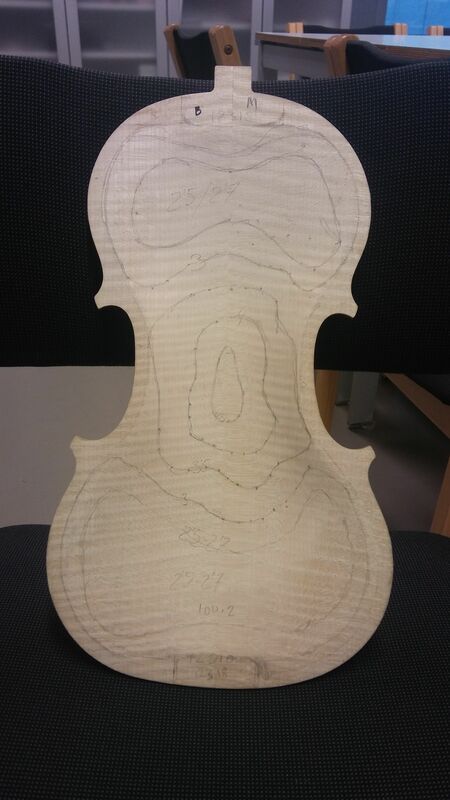 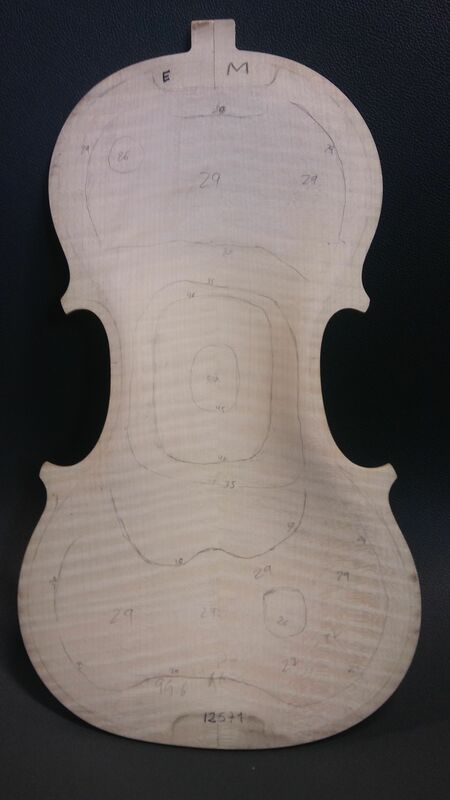 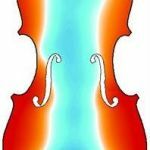 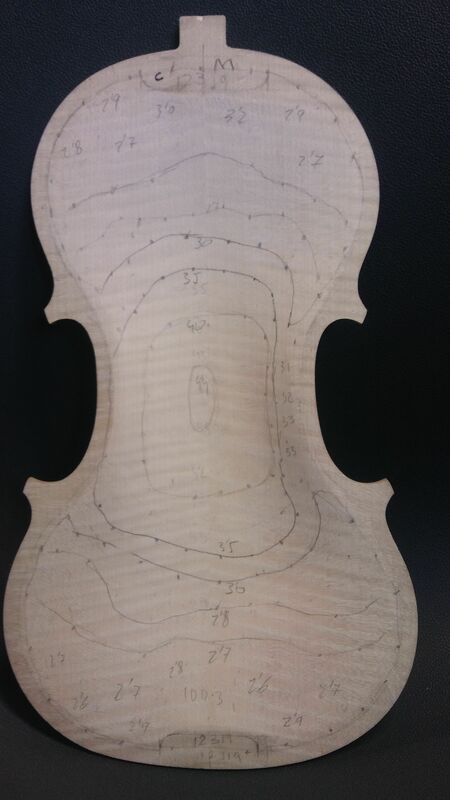 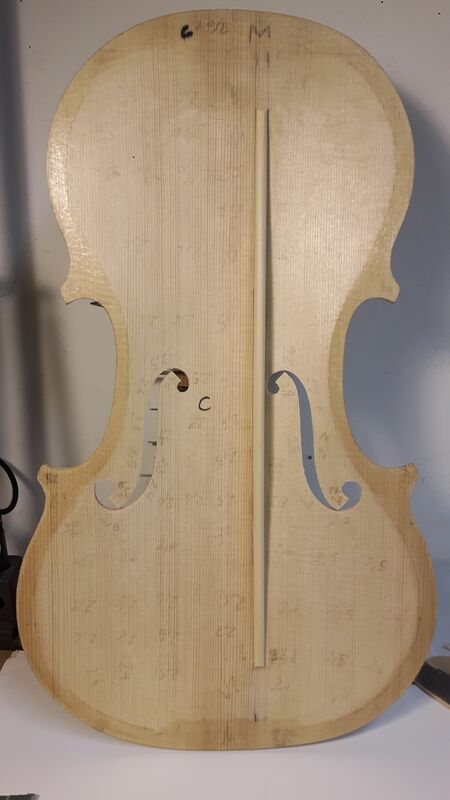 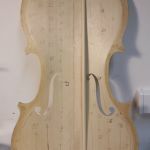 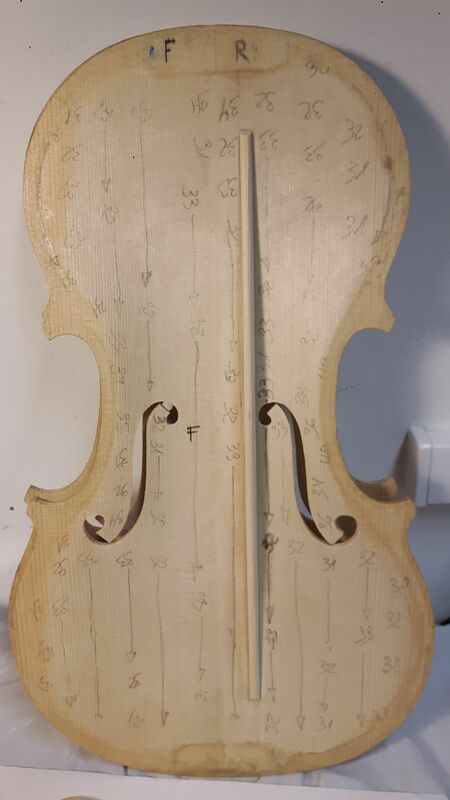 The “Pinned Edge” system developed by George Stoppani allows us to obtain more information about the plates in certain boundary conditions that are more similar to those of the closed violin box.